So, um... technically I should be discussing Thanksgiving. Or Christmas. Or something that wasn't a month ago. But I am just so original (or holiday-confused) that I'm going to show you Halloween. Because it was hilarious. 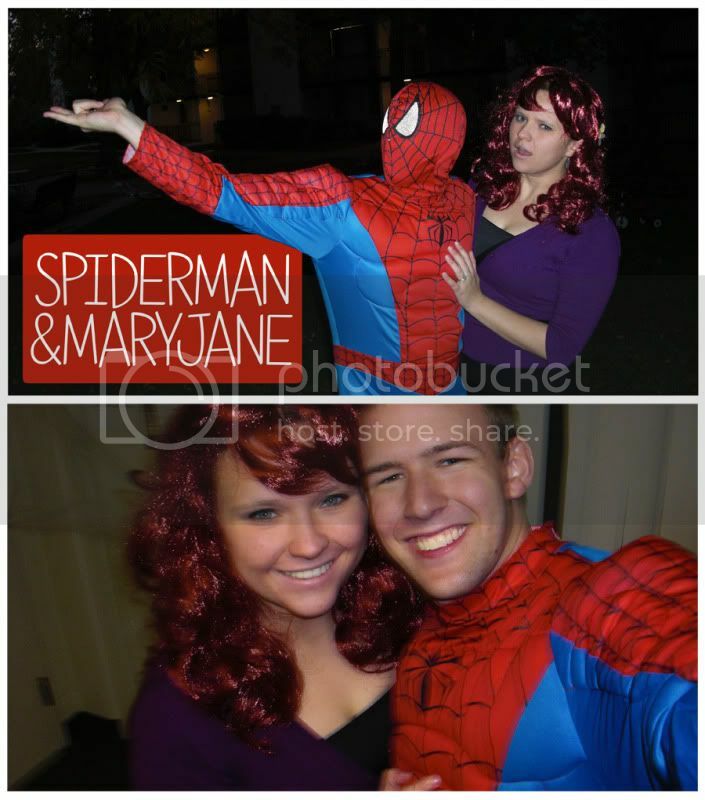 To start off with, Brad and I were Spiderman and Mary Jane Watson for Halloween, which is basically the lifelong dream of Bradley's. That is, to dress up as Spiderman and have a good lookin' (very good lookin') lady dress up as his MJ. Well, Brad... dream come true! However, the best part of the entire Halloween weekend was this. That's one of the kids that we teach in primary, Steven. When Brad and I walked out to the ward party in the Quad, Steven's jaw literally dropped. He ran to his mom and exclaimed, "Mom, it's a big Spiderman! Big Spiderman!" He rushed to get on his mask so he could look like Brad and then proceeded to squat near him (not kidding) in excitement next to Brad through the entire buffet line. It was awesome. Once it got dark we ended the party and everyone was cleaning up. Steven walks up to Brad and asks, "Will you play with me?" 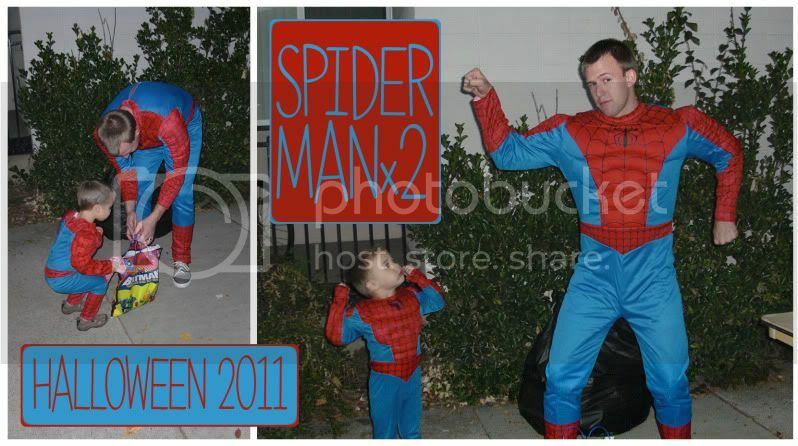 Then, when his mom yelled for him to come inside he yelled back, "No, I'm going to play with Big Spiderman!" Awesome, awesome, awesome. Best part? Brad's totally their home teacher. And Steven totally freaked out when Brad visited the next week and tried to get him to cough up the goods on that offer to play with him, Little Spiderman and Big Spiderman. After that we had a good night gaming with some awesome friends in our ward. I think that we had a total of eight people playing Halo in one apartment! The day of actual Halloween we visited both our families, but sadly work and school obligations made that very short. NEXT YEAR... we'll still be in school. But the year AFTER next year... no more school! A REAL Halloween. Hopefully.